Looking for ways to clock up your 24 hours? 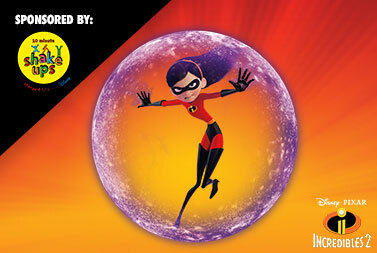 Check out these super missions inspired by your favourite Disney•Pixar Incredibles 2 characters. Each mission should take you at least 10 minutes. Repeat your favourites to keep clocking up your time! Select a character below to see their missions. Mission Requirements: Music to dance to. Mission Brief: Imagine Elastigirl has been challenged to a dance-off and wants to show off her super flexible dance moves. 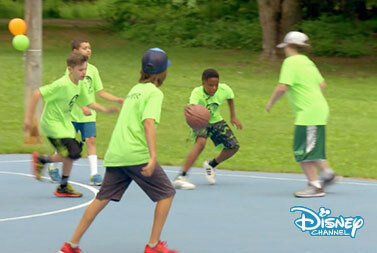 Can you remember all the moves your team invent? Form a line and have the first player do a dance move. Then the next player copies the first move, and adds their own , and so on around the team. How many incredible moves can you perform as a team? Adaptations: To make the mission easier form a circle (or opposite each other), and the first player creates a dance move then everyone copies it; the second player creates another dance move for everyone to copy and so on. You can use sounds like clapping if any of the team can’t easily see the moves. Mission Brief: Elastigirl has to go to greeeeeaaaaaaaaat lengths to make sure the villains don’t get anything past her – can you make sure nothing gets past you? Bend over and swing your arms between your legs. Use your arms try and get the ball through each other’s legs. Instead of playing individually you can also form teams (kids vs parents!) Who can clock up the most points? Adaptations: If not everyone is able to stand players can sit on a chair. To make this mission harder, try adding in more than one ball. Mission Requirements: Dice. A towel, blanket or yoga mat. Mission Brief: Helen is constantly racing to the next emergency and has to be ready to take on whatever adventure comes her way. 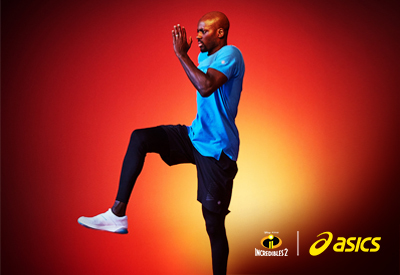 Can you limber up ready to take on your day? Roll the dice; whichever number it lands on everybody has to move themselves to form the pose listed below. Kneel on the floor on all fours, stretch your back up, and tuck your chin to your chest. Take three deep breaths in this position. 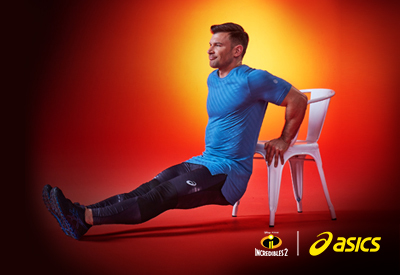 Sit on the floor with your legs in a wide V, fold forwards as far as you can go. How long can you hold this position for? Start on all fours, spread your fingers wide and lift your bottom up toward the sky. Straighten your legs and try to touch your heels to the ground. Hold for four breaths. Lay flat on your back and bring the soles of your feet together to create a diamond with your legs. Hold for 10 seconds. Squat with your feet turned out. Can you touch your elbows to the inside of your knees without falling over? Hold for three breaths. Stand on your tiptoes and stretch as tall as you can. Bring the sole of one foot up and rest it on the calf (or thigh) of the opposite leg. Who can hold this pose the longest? Adaptations: Make sure you have enough space to complete your poses. If any of these stretches are too difficult, try making up your own super poses! Mission Requirements: A hula hoop. Stand in a line holding hands. Move the hoop from one end of the line to the other without letting go of hands. When you’ve moved through the hoop, run to the back of the line to make it longer. See how long it takes you to for everyone to go through the hoop three times then try again to beat your time. Mission Requirements: Space around you to move side to side. Mission Brief: You need to escape the Underminer’s lair quickly, do it like Elastigirl would, stretching your limbs to push a door open whilst kicking away his robotic hand that’s trying to hold you back! Watch the video here to see exactly how to achieve the Super Thrust. Remember to do some simple stretches like you would for any exercise. These individual steps take you through the stages to build up to the Super Move. The Kick – gently kick out to the side, how high can you reach? Don’t worry if you can’t do all of these first time, keep your determination, keep moving, and remember that Supers have to hone their skills too! Mission Requirements: A suitable object to jump over (like a cushion, or anything soft with no sharp corners or edges). Start by standing on two feet, put your object in front of you and jump over it landing on two feet. How many jumps can you do in one minute? Try again, starting on one foot and landing on two feet. Then try starting on one foot and landing on one foot. Change how you jump over the object each time. Adaptations: To make the mission easier choose a smaller object, to make the game harder choose a bigger one. Try jumping over a number of objects in a row. If a player can’t jump, try moving in a circle around the object instead. Mission Requirements: Monkey bars (found in most parks). Mission Brief: Mr Incredible is the strongest of all the Supers and he isn’t one to monkey around. Pretend you’re Mr Incredible and show the rest of your team just how strong you are in this mission that won’t leave you hanging! Once 10 seconds is up, or they’ve dropped off the bars, they shout out the next person’s name. The first teammate gets into a plank position and the second person sees how far they can get in 10-seconds. Once everybody’s had a turn, take a one-minute break and try again. Who can go the furthest the fastest? Adaptations: If you only have two players keep switching for two minutes before taking a well-deserved two-minute break before going again. If more than two players, just keep rotating but maybe set a slightly longer challenge time. Mission Requirements: Towel, picnic blanket, or yoga mat. 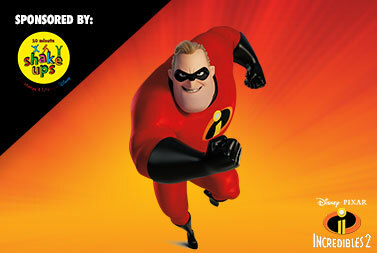 Mission Brief: Mr Incredible needs more than just super strength to complete his missions – he also needs control. Your mission is to try to complete the following moves as slowly and controlled as possible. The Swim - Lie on your front with arms and legs out straight, raise your arms and legs just like you’re swimming. Do the exercises as a group for as long as you can. If you need to take a break, just jog around the rest of the team until everyone has finished what they’re doing and you’re ready to move on to the next activity. Adaptations: For a bonus activity try sitting down with your legs crossed and see if you can lift yourself off the ground with your hands. If any of these activities are not possible, try making up your own! Mission Requirements: Timer (most phones have one). Mission Brief: In this mission pretend that you’re Mr Incredible crawling through the Underminer’s tunnels as he hunts the villain down. Form a line with your legs wide apart and start the timer. The person at the back army crawls through everyone’s legs until they get to the front. When you get to the front, stand up with your legs wide and it’s the next person’s turn. After everyone’s had a turn change the position. Try positions like bridge, plank, or make up your own. If someone can’t crawl under a teammate then they have to do three burpees before it’s the next person’s turn. Adaptations: If you have lots of players, split into two lines and have a race. Time your mission before doing it again and see if you can beat your time. Try making shapes in different ways - such as joining hands in pairs if anyone is not able to crawl. Mission Requirements: A chair (non-swivel), a wall, space to jump up as well as lie on the floor. Mission Brief: Imagine you’re Mr Incredible, and whilst chasing the Underminer there’s debris flying towards you, and you have to use your super strength to dodge a low piece, then catch a high one to save the day! Watch the video here to see exactly how to achieve the Super Press. Remember to do some simple stretches like you would for any exercise. These individual steps take you through the stages to build up to the Super Move. Mission Brief: Violet has force field powers she uses to protect her family. Pretend you’re Violet and you have to stop the meteors (the balls) from crashing to earth and hit the ball against the wall using only the palm of your hand. Start as close to the wall as you can get. Each player takes a turn to hit the ball against the wall. Every time you hit the ball take a small step or move backwards. How far away from the wall can you move? Make sure you practice using both hands! Adaptations: This game can be played sat on a chair or in a wheelchair. Use a larger ball for this which will slow down the pace of the game. If you are a larger team, pair up and take in turns at different parts of the wall, while you wait for your turn you do star jumps to be super active. For players who can’t see as well you can use balls with a bell inside. Mission Brief: A good Super like Violet has to be able to think on the spot and react quickly to whatever’s thrown at them. Test your skills in this game of brains and speed. Pick a category, such as: countries, colours, pop stars, Disney characters, etc. While everyone is moving around, the person with the ball throws it to another teammate calling out something in that category (e.g. ‘Spain’ if doing countries, or ‘red’ if using colours). That teammate needs to catch the ball, call out another connected word within five seconds and throw the ball to someone else. If you can’t think of a word in five seconds, or you say the same word as someone else, you must do 10 star jumps (or other active move) before throwing the ball. Adaptations: If playing in pairs, jog on the spot and once you’ve thrown the ball to the other person either complete a burpee or do a 360-degree jump. For bigger groups, add more balls (don’t get caught with more than one ball! ), and for younger players, give them a little more time to think of a word. Instead of throwing a ball you can touch someone’s shoulder to indicate it’s their turn. Mission Brief: Violet is initially shy and unsure about being a Super, but by working with her family she overcomes her worries and becomes more confident with her place in the world. 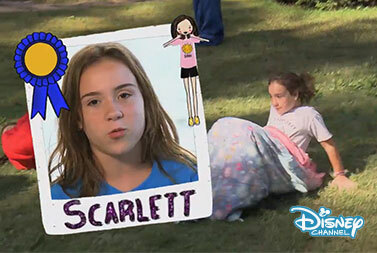 Can you claim your place as Violet by being the first to spell out her name? Give the ball to some of the players. They call out someone else’s name and throw the ball to them. Keep going until someone has caught the ball six times to spell out V-I-O-L-E-T. If anyone drops the ball, they need to complete five star jumps (or other active move) before joining back in. Mission Requirements: At least five used, unbreakable drink bottles or milk cartons, fill these half-full with water - these will be your skittles. You will also need a ball. However many skittles are left standing after your turn is how many star jumps (or other active move) you have to do before you can go again. Adaptations: This mission is great for a rainy day as it can be played indoors. To make it harder move further away from the skittles, to make the mission easier move closer to the skittles. If players are unable to stand/roll a ball this mission can be completed sitting on a chair/or wheelchair. If players can’t see easily, try making a sound behind the skittles. Mission Requirements: Space to lie down on your side and your front. Watch the video here to see exactly how to achieve the Super Forcefield. Remember to do some simple stretches like you would for any exercise. These individual steps take you through the stages to build up to the Super Move. Get your friends, parents or siblings involved – pair up and get ready to bounce! The person who crosses the finish line first wins! Place the markers further apart to see how far you can go. Mission Requirements: A timer, and an object to pass back and forth. Set two points which you can move back and forwards between. Round 1! Time each team member running or moving back and forwards between the points. Add everyone’s time together to give you an overall score. Try again and see if you can beat your first score. Round 2! Each team member does the run but passes an object in a relay. Can you beat your overall individual time by working together? Adaptations: Try different types of moving, for example, run sideways, run with high knees; you could also add in small soft objects you need to hurdle over. Mission Brief: Dash often needs to outsmart his opponents, as well as outpace them. Can you beat your teammates with both your skill and speed? Mark out a noughts and crosses grid on the floor, 10 – 15 metres from the start line. One person (or relay team) is Cups, the other is Plates. The first person runs or moves to put their cup or plate into a grid space and then quickly runs back to the start. The next player then runs or moves to place their item in the grid. Keep going until someone gets three of their objects in a row. Everyone should always be on the move so when you’re waiting for your turn keep active by doing star jumps, burpees or an activity of your choice. Adaptations: To add a little extra competition, if you win you chose if the other player completes five press-ups or 10 star-jumps (or another active move). If it’s a draw then everyone holds a plank for 20-seconds! Mission Requirements: Adventure playground, and a timer (most phones have them). Mission Brief: Fill your need for super speed in this Dash inspired assault course that will put you to the test! One at a time you and your teammates race through the course and keep track of the time. How many times can you complete the course in 5 minutes? Can you beat your time each time you complete the course? Don’t wait for the person in front of you to finish, start 15 seconds after they do so no one is stood still. Don’t forget to celebrate with high fives as each teammate finishes the course. Adaptations: If there are both younger and older children on your team, you could use both the small children’s and older children’s playgrounds and older teammates can help the younger children. Mission Requirements: Dressing up clothes: costumes, hats, jumpers, t-shirts, jackets etc. Mission Brief: A good Super always needs a good disguise when trailing a villain. Pretend that you are Dash and create a disguise as fast as you can! Place the dress up items in a big pile about 10 meters from the start line. The first person (in each line) races to the pile of clothes, grabs an item and races back to the start, putting that item on as they go. As soon as their item has been put on, the next person in line goes. Keep going until either all the dressing up items have been put on or until each team member is completely disguised. Adaptations: Add a ‘never still’ rule which means everyone always needs to be moving, jumping or skipping on the spot when waiting for their teammate to take their turn. If you’re caught being still you have to take off an item and put it back on the pile! Mission Brief: Dash is always ready to set off at high speed, and he uses all parts of his body to gain that super pace! You’ll need to jump up into a sprint stance, and you’re ready to dash off at Dash speed! Watch the video here to see exactly how to achieve the Super Sprint. Remember to do some simple stretches like you would for any exercise. These individual steps take you through the stages to build up to the Super Move. Get your friends, parents or siblings involved – pair up and get ready to race! Basketball – or any ball that you can bounce under your leg. Timer – or any device to help you time 1 minute. Get your partner to set the time to 0. Now switch! You take the timer and see how many times they can bounce the ball in 1 minute. The person with the most bounces within the time wins! Try bouncing the ball under one leg. Mission Requirements: A firm, mud-free surface and a timer (most phones have them). Mission Brief: To be a Super you need to be ready for action whenever the world needs you. Can you keep your family on the go this summer by being like Dash and completing The Daily Mile? Jog or run together and make sure your Super team is ready for action! Test your route. It needs to be long enough so that approximately 8 running or 10 jogging laps takes 15 minutes. Make sure you can see your Super teammates during The Daily Mile at all times. You and your teammates can jog or run but keep an eye out for each other and give lots of encouragement like a true Super team. Mission Requirements: Space large enough to allow all players to move around comfortably. Mission Brief: As the baby of the Parr family, Jack Jack is constantly getting his parents and siblings to do things for him. Can you be like Jack Jack and call out things for your team to do? Choose one person to be Jack Jack. This person calls out the name of one of the Incredibles and everyone (including them) has to do the action. Elastigirl – Stretch to make yourself as tall or as wide as you can. Mr Incredible – Do 5 press ups (or other strength activity). 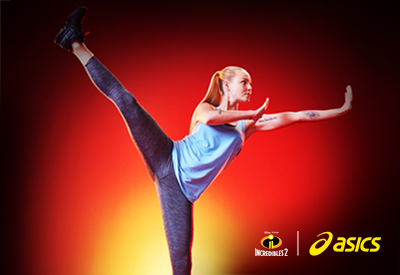 Violet – Call out “Super Force Field”, move into a squat, placing your hands out in front of you. Hold the pose for as long as you can. 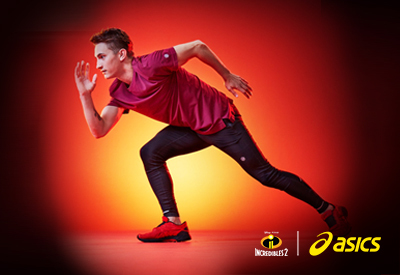 Dash – Run as fast as you can on the spot or move your arms as fast as they can. Jack Jack – Perform a move of your choice. Frozone – Skate on your imaginary skates. After calling out five moves, let another teammate have a turn calling out. Adaptations: Use your imagination to create new super moves for each character. Mission Requirements: Arts and crafts supplies and/or clean recyclables (just make sure they’re clean and safe to use), i.e. empty plastic bottles, tubs, string, glue and tape. Mission Brief: Supers can’t rely solely on their powers - they often need to use things in their surroundings to save the day. Can you use the things you have around the house to create a cheer for all Supers to hear? Use your art supplies and recyclables to make a noisemaker or musical instrument. Once you’ve made and decorated your instrument (drum, maracas etc.) it’s time to show the Supers how much you appreciate them! Each team member needs to create a 30-second cheerleading routine (with a chant!) using their newly made instruments. Use jumps, turns, squats or any of your best dance moves to put it together. Show the rest of the team you cheer and teach each other, putting them all together for one final Super cheer! Adaptations: This is a great mission to do when the weather isn’t great. If you don’t have the things needed to make a musical instrument, just create a 30-second cheerleading routine using body parts as percussion (e.g. clapping or stomping your feet). Mission Requirements: Trampoline, balloons (or you can use soft toys/balls). 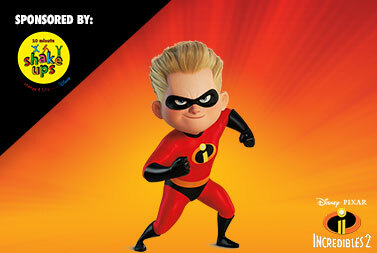 Mission Brief: Jack Jack’s new powers have the whole Parr family running around trying to clean up the messes he makes! Can you clean up all the balloons as they’re thrown off the trampoline? Blow up different coloured balloons and put them on the trampoline. Take turns practicing bouncing them up high. One teammate starts on the trampoline and everyone else is around the outside of the trampoline. The players on the outside take turns calling out a colour (or soft toy), and the person on the trampoline must throw all the balloons matching that colour off for the others to collect. Once all the balloons have been thrown off the trampoline put all the balloons back on & swap who’s turn it is. This game should be played at a fast pace so that the bouncer is rotated quickly. Adaptations: You can also add a time to this mission - the bouncer gets 20 seconds to collect all the coloured balloons – can they complete the mission in time? You can also use toys that make sounds. If you’re playing in a trampoline park you can use the small soft-landing squares instead of balloons and rather than running around the trampoline you can bounce around! Mission Brief: Jack Jack has loads of energy, and always wants to be doing something new. In this mission all the teammates need to keep moving together. One teammate sits on a swing and another and pushes them. In between each push you need to do a star jump or other active move. (Make sure you’re far enough away from the swing so you won’t get hit). Once there’ve been 12 pushes, get off the swing and both players face each other, with their hands on the swing, and their feet out behind them (in a push up position). Balancing together, complete six press ups against the swing. (Make sure someone is a ‘catcher’ in case the swing becomes unbalanced). After that switch roles with the other person sitting on the swing and someone else pushing. Adaptations: If there are more players either use more swings (if available) or add other circuit stations using some of the following exercises: jumping squats, sprinting on the spot, sit ups, lunges, star jumps. Mission Requirements: Space large enough to allow all players to move around comfortably. Whatever you need to build your obstacle course! Mission Brief: Jack-Jack might be the baby of the family, but he still knows what he likes and needs. Just like Jack-Jack, every child should be heard and have their opinion taken seriously. So for this challenge, it is time for all Super Children to take the lead! Using your imagination create an incredible obstacle course for the whole family. Take it in turns to complete the course or race against one another – can you change the activities to make the course even more fun? Adaptations: No need for adaptations – just use your imagination to create activities that everyone in the family can join! Mission Requirements: Bikes, scooters or skates. A timer (most phones have one). Mission Brief: Frozone has a way of skating laps around the competition, trapping them on the spot – how many laps can your team do in three minutes? Find a marked-out circle - like in a school playground, playing field or at the park - or you could create one in your garden using string or chalk. Everyone finds their own space around the circle. Pretend that you’re Frozone chasing the villains - how many laps can each of you do in three minutes? Add everyone’s number of laps together to get a final score. Can you beat your score? Try again and see how many laps you can all do! Adaptations: To make the mission harder make the circle bigger, this will make it harder to complete laps. To make it easier make the circle smaller. If there is a player unable to play they could be the “Super Laps Counter” and count all the laps. If you don’t have a bike, scooter or skates, just run around and see how many laps you can do! Mission Requirements: Bikes, scooters or skates. Mission Brief: Your mission is to move from one end of the (Fro)zone to the other to catch the villain - but listen out for the super commands and make sure you follow them, or else! First define a zone between two key points e.g. two trees, street lights, fences, etc. This is your playing area. One person waits at one end of the zone with their back to everyone else, and calls out commands – this is the villain. The aim is to get to get to the villain as fast as possible without getting tricked up. DANGER: Stop. if anyone moves by mistake and they get caught they have to go back to the beginning of the zone.ACT CASUAL: Go as slow as you can.BE INCREDIBLE: Go as fast as you possibly can! If you catch the villain, you get to be the villain next time. Adaptations: Have the villain keep moving (e.g. running or star jumps) while it’s their turn. Make your zone quite big to make it harder. Mission Brief: Frozone’s balance on ice truly is super – imagine you’re on a giant field of ice and you need to keep your balance in this mission all about moving super slowly. Place markers (backpacks, jumpers, etc.) to show a start line and a finish line. Line up at the start line and count as a group 3, 2, 1 Frozone!! When you hear FROZONE! Cycle, skate or scooter as SLOWLY as you possibly can. The only rule is you can’t ever be completely still (or put your feet down if you’re on a bike!) If you do stop you need to go back and start again. The mission is to be the first person to get to the finish line without having to start over. Adaptations: It’s a little tricky to keep your balance when going slowly so hold on tight, or have a ‘catcher’ ready in case someone falls. This activity is also suitable for those in wheelchairs, just make sure you’re always moving! See how long it takes for the whole group to complete this mission, then see if you can complete it again but even slower the next time! Mission Requirements: A phone, tablet, or camera; and an incredible imagination! Mission Brief:The Supers need to show Metroville all the good things they’re doing so that they can become legal again. Can you take selfies to show the world how super your team is? This mission is all about the team name you chose when you registered for the challenge. i.e. Team Smith, Team Supers, etc. For this example, we’ll use Team Frozone. Head out on your bikes, skates, scooters, etc. While you’re out you’ve got to keep moving and look for anything that starts with the letters from your team name. When you find something that matches a letter stop and take a selfie with it. The only time you can be standing still is when you’re taking a photo! If you get caught being still you need to complete 5 burpees (or other active move) before joining back with the team to complete the mission. Adaptations: On a rainy day try doing this inside by gathering together all of the different elements as quickly as you can. Mission Requirements: Space to jump up and spin around. Mission Brief: You’re Frozone, and you’ve just arrived at the scene of the Underminer’s devastation on your ice path. But you need to do a super quick scout of the area, all angles covered. You must jump up, spin around, and be ready to make your next move! Watch the video here to see exactly how to achieve the Super Jump. Remember to do some simple stretches like you would for any exercise. These individual steps take you through the stages to build up to the Super Move. 36. WHAT'S THE TIME ELASTIGIRL? Mission Requirements: A space large enough to run around in. 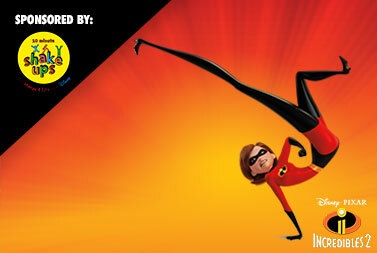 Mission Brief: Can you escape Elastigirl's stretchy arms for 10 minutes? One person is Elastigirl and stands facing the wall. Everyone else lines up some distance away. All shout out "What's the time Elastigirl?" and she shouts back a time. If she shouts "2 o'clock! ", you take two steps towards her, and so on. If she shouts "STRETCHY TIME", she can turn and chase you! The first person she catches then becomes Elastigirl. Mission Requirements: 3 – 4 balloons per person. Mission Brief: Mr Incredible has his hands full with Violet, Dash & Jack Jack. Can you keep all your balloons in the air using only your hands or feet? Throw your balloons in the air. Can you keep them in the air using your feet, hands, and head. Now try with just your head and feet. Now with just your feet. Now switch between right and left feet. Who can keep the balloons in the air the longest? Mission Requirements: Something to mark out a pitch. A ball. Mission Brief: Use your superpowers like Violet to stay in the game! Dodge the ball using Invisibility or catch it in a Force Field to eliminate the thrower! Mark out a pitch, get a ball and split into two teams. You can’t go into the other team's half! On the word "DODGEBALL" throw a ball at the other team. If you hit anyone they are out and must cheerlead. If you catch the ball you get to bring one cheerleader back. Mission Requirements: Empty plastic bottles. A timer (most phones have them). Mission Brief: Pretend to be Dash and use your super speed to whizz around a course of empty reusable bottles, weaving in and out of the obstacles. Grab a timer and set out a course using empty plastic bottles, with gaps in between. On the word "DASH!" sprint along the course, weaving in and out of the bottles. If you knock a bottle over, go back and set it back up. The winner is the Incredible who completes the most laps in 10 minutes. Mission Brief: Tell a story through dance and movement with the help of Moana and Maui from the Disney On Ice shows. You will need to create a dance together, using the power of strength to get your boat back to the island during a storm. You see thunder and lightning! You all jump into your boat and use all your strength to row back to shore in the rough seas. Think what dance moves can represent strength? Are these slow or fast? When you arrive at shore you are all so happy to be safe! How do you celebrate together? Adaptations: Go on a journey to another island, what is the weather like this time? Mission Brief: The aim of this mission is for your family to tell a story through dance and movement with the help of Rapunzel from the Disney On Ice shows. You will need to create a dance together, using the power of stretch to get across a magical lily pad lake and back to the castle! Imagine how you will travel across, stretch your legs from lily pad to lily pad then try jumping to each mat – don’t fall in! 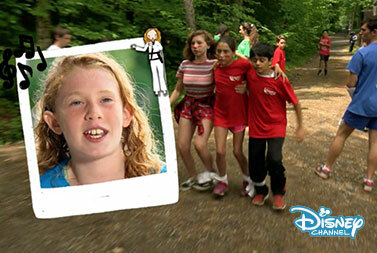 Adaptations: Find your own adventure, what other obstacles to you have to overcome in Corona? 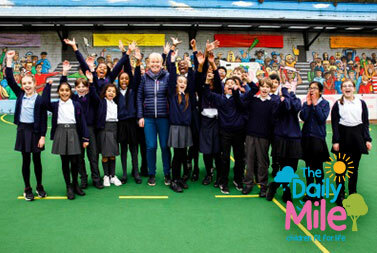 Mission Brief: The aim of this mission is for your family to tell a story through dance and movement, with the help of Cinderella from the Disney On Ice shows. You will need to create a dance together, using the power of speed to ensure you make it back to the castle before midnight and before your carriage turns into a pumpkin! 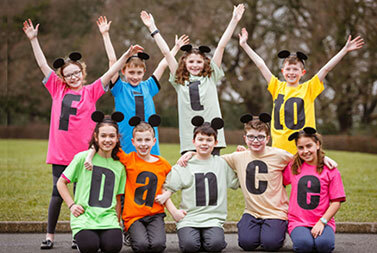 Mission Brief: The aim of this mission is for your family to tell a story through dance and movement, with the help of Anna, Elsa or Olaf from the Disney On Ice shows. You will need to create a dance together, using the power of ice to cross the melting icy bridge! As you are flying and pointing at what you see beneath you, the wind makes it difficult to fly smoothly. Can you make your actions jerky and fast? Find ways to join together with everyone, and hold tight as the carpet flies home. Want to take on the challenge but don't know where to start? Have no fear - the Incredible Challenge Plans are here! Choose getting active in short bursts with Throughout the Week, Weekends Only or crush the challenge during your Family Holiday. However you want to clock up time together we've got the Challenge Plan for you! How do you want to clock up your 24 hours?